Ranger Suarez allowed eight runs (four earned) on 11 hits and two walks with two strikeouts over four innings against the Mets Thursday. Suarez was optioned back to Triple-A following the ugly outing. 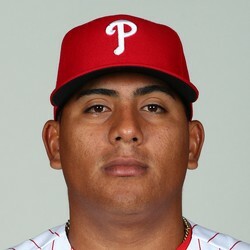 He hasn't been very good in either of his two starts for the Phillies this season. He's not fantasy relevant at this point.